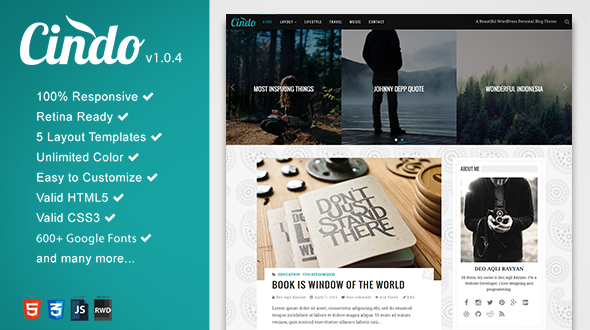 Cindo is a Beautiful WordPress Personal Blog Theme with Simple, Retina Ready and Responsive design. Cindo is very easy to customize. It’s built with high design aesthetic. Cindo comes with great typography design by default, yet you’re still able customize it. It makes your reader comfortable while reading your blog articles.